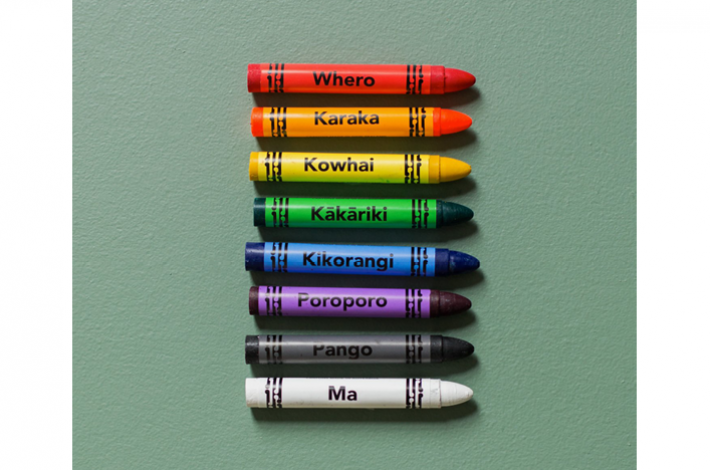 Eight New Zealand made coloured crayons labelled in Te Reo Māori and English. 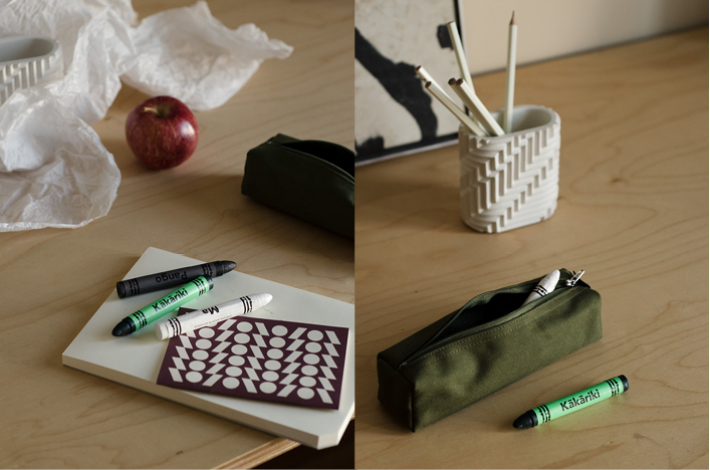 Each crayon is approximately 100 x 12mm, held in a cardboard box. These crayons are certified asbestos free.